Silk scarf with rich baroque motifs. 插圖素材: Silk scarf with rich baroque motifs. 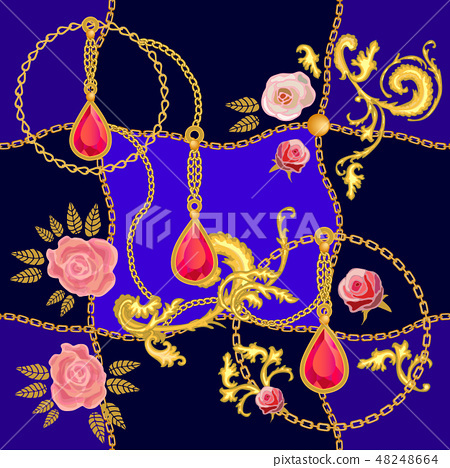 Pendant with rubies and golden chains on dark background. Women's fashon collection.